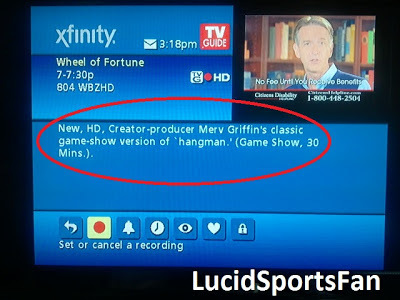 Am I the only one who never realized "Wheel of Fortune" is "hangman?" Wheel of Fortune is just a fancy version of "hangman." It's seems so obvious, yet somehow it'd never occurred to me before. Is this common knowledge? If not, it definitely should be. I felt pretty stupid for not having come to this conclusion on my own at some point in the last 35 years. 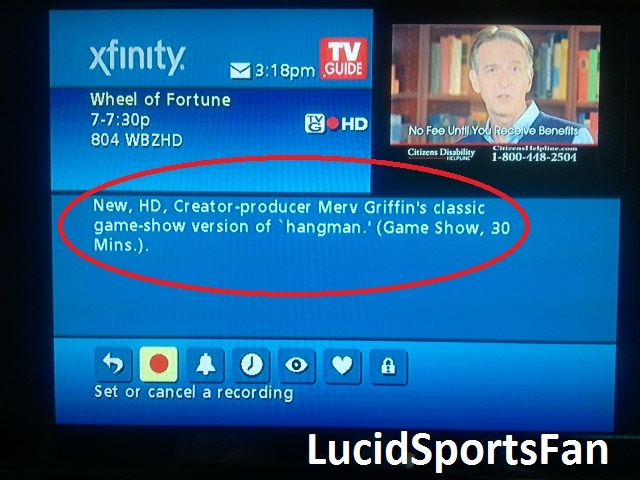 And while I tend to be very critical of the show descriptions on the cable guide, on this day I was extremely impressed.